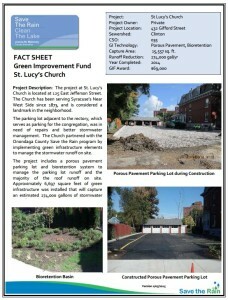 The project at St. Lucy’s Church is located at 432 Gifford Street. The Church has been serving Syracuse’s Near West Side since 1873, and is considered a landmark in the neighborhood. The parking lot adjacent to the rectory, which serves as parking for the congregation, was in need of repairs and better stormwater management. 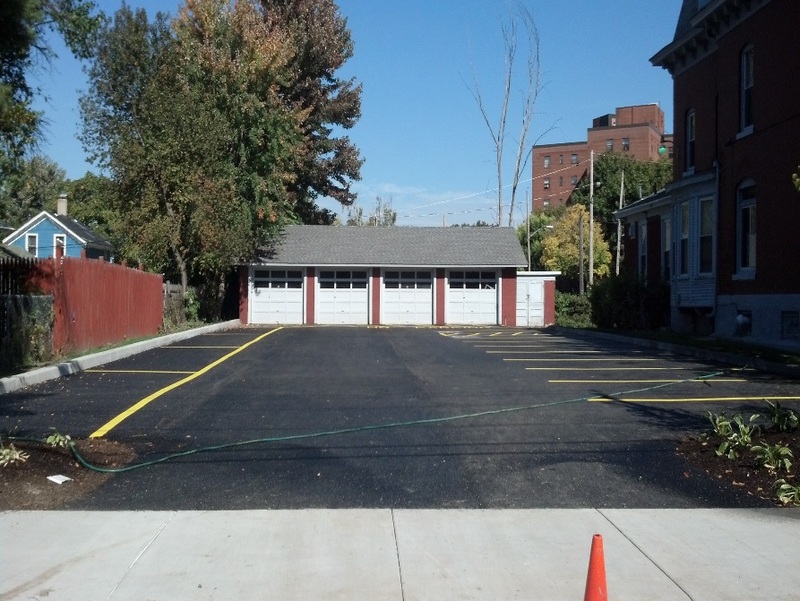 The Church partnered with the Onondaga County Save the Rain program by implementing green infrastructure elements to manage the stormwater runoff on site. The project includes a porous pavement parking lot and bioretention system to manage the parking lot runoff and the majority of the roof runoff on site. Approximately 6,697 square feet of green infrastructure was installed that will capture an estimated 274,000 gallons of stormwater annually.